The upcoming film is the follow-up to the critically acclaimed 2014 action adventure comedy, ‘The LEGO® Movie.’ ‘Shrek Ever After’ and ‘Trolls’ helmer, Mike Mitchell, directed ‘The LEGO Movie 2: The Second Part,’ which was written by its predecessor’s helmers, Phil Lord and Christopher Miller. Warner Bros. Pictures is set to distribute the sequel nationwide in 2D and 3D on Friday, February 8. 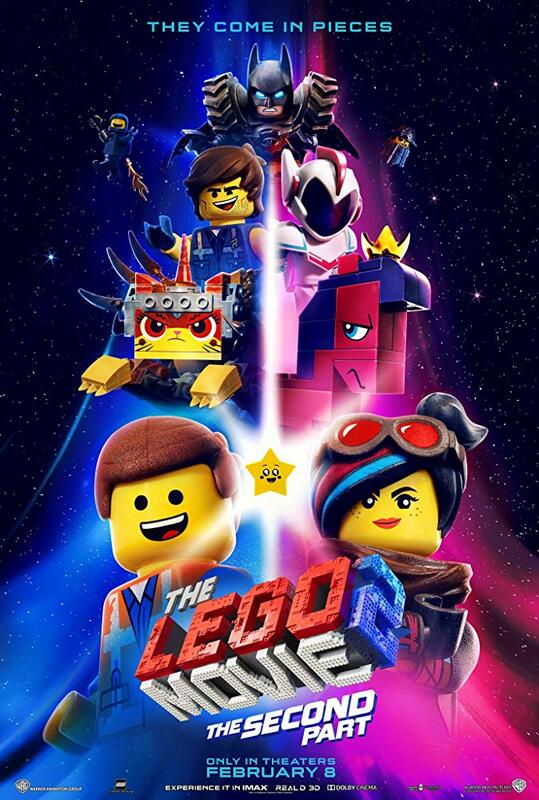 ‘The LEGO Movie 2: The Second Part’ features the return of several actors who reprised their starring roles from the first film, including Chris Pratt as Emmet, Elizabeth Banks as Lucy (aka Wyldstyle), Will Arnett as LEGO Batman, Alison Brie as Unikitty, Nick Offerman as MetalBeard and Charlie Day as Benny. They are joined by Tiffany Haddish and Stephanie Beatriz as new characters Queen Watevra Wa’Nabi and General Mayhem, respectively, and Maya Rudolph. In ‘The LEGO Movie 2: The Second Part,’ the battle to defeat the invaders and restore harmony to the LEGO universe will take Emmet, Lucy, Batman and their friends to faraway, unexplored worlds, including a galaxy filled with fantastic planets, strange characters and catchy new songs. It will test their courage, creativity and Master Building skills, and reveal just how special they really are. For more information on ‘The LEGO Movie 2: The Second Part,’ visit the animated sequel’s official website, as well as its Facebook, Twitter and Instagram pages.